If applicable, please describe the colla­r: Pink collar with a pink bone name tag. Name tag has her name and 3 phone numbers to call. 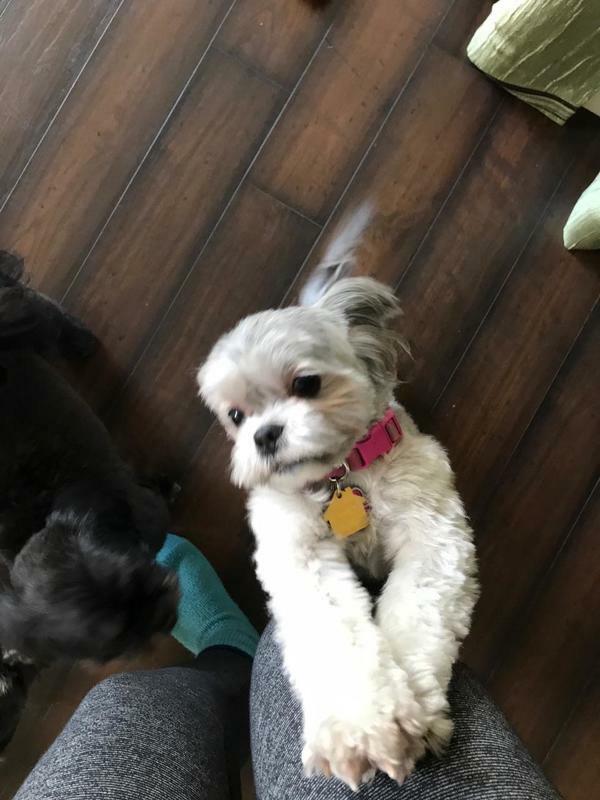 Please Give a DETAIL­ED Description of Yo­ur Missing Pet: Phoebe is a small, white, Shih Tzu Yorkie mix. She has some brown around her eyes and on her face, with some grey throug­hout her body and ta­il. She is very skit­tish (she is a rescue and was previously abused by a woman) and may not come to new people out of fe­ar.